This year marks 75 years since the Spanish Civil War began. Up to 35,000 people from around the world volunteered to fight against Franco and his fascist forces, with many joining the ‘International Brigades.’ Alongside Spanish anarchists, communists, socialists, trade unionists and freedom-loving people, the International Brigades played an important role in the war. Amongst them were 2,000 British people, 500 of whom gave their lives. Here we remember the volunteers from the Three Counties who left to fight fascism. Lewis Clive was a volunteer associated with Hereford. Born on 8th September 1910, he was the son of Herefordian, Percy Clive, a Conservative MP and Lieutenant-Colonel killed in the First World War. Lewis was a keen rower, winning a gold medal at the LA Summer Olympics in 1932. He was also a socialist, a member of the Labour Party and the Fabian Society. Laurie Lee MBE was a poet, novelist, screenwriter and also an International Brigade volunteer. Born on 26th June 1914 in Stroud, Gloucestershire, Lee left school at 16 and began working at an accountants in Stroud. However he quickly became bored and decided to embark on an adventure, walking to London. He settled in Putney and began work as a builder’s labourer. During this time his interest in poetry blossomed, with his writings appearing in The Gloucester Citizen as well as other newspapers. Laurie Lee had previously visited Spain, and in December 1937 he decided to return to help in the fight against Franco. He said he “owed it to the Spain he knew” and the friends he had made there. After realising he wasn’t going to get any help in reaching his destination, he decided to cross the Pyrenees by himself. He was initially captured by Republican forces, with them mistaking him for an enemy spy. He was saved from an almost certain fate, and went on to join and fight with the International Brigades. His time fighting during the Spanish Civil War was cut short due to epilepsy, and he left Spain in February 1938. Lee recalls the time he spent in Spain during the war in his book, ‘A Moment of War,’ published in 1991. Laurie Lee died on 13th May, 1997. He is buried at Holy Trinity Churchyard, Slad, Gloucestershire. Jack Watson was a volunteer from Worcester. He was killed in action at the Battle of Jamara on 27th February 1937. 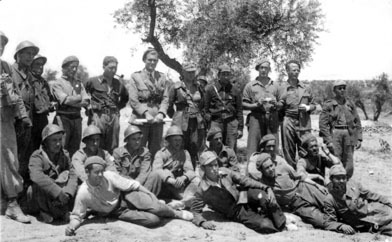 The Battle of Jamara was one of the main battles in which the British Battalion of the International Brigades took part. It took place in the Jamara Valley, to the east of Madrid. The battle began on 12th February 1937, when Franco’s crack troops from the Army of Africa advanced to the Republican lines to try and dislodge their hold on the valley. After a few days and nights of heavy fighting, the ill-equipped and outnumbered International Brigade volunteers held out. Both sides dug in and a stalemate ensued which lasted for most of the war. We salute the bravery and selflessness of the anti-fascists from this region and from around the world, who put their lives on hold to join the fight against the advancing tide of fascism across Europe. Despite eventually losing the war in 1939, the Brigadistas and Spanish anti-fascists gave a noble example of the strength of international solidarity. That year was to see the start of another brutal war, and was followed by some of the darkest days in history. It is vital that we learn lessons from the past. The struggle against fascism across Europe is as relevant today as it ever has been. Let’s remember and put into practise the phrase used by anti-fascists in the 1930’s, ¡No pasarán! – They shall not pass! If you have any additional information on the International Brigade volunteers listed above, or any other locals who fought in the Spanish Civil War, then please get in touch. 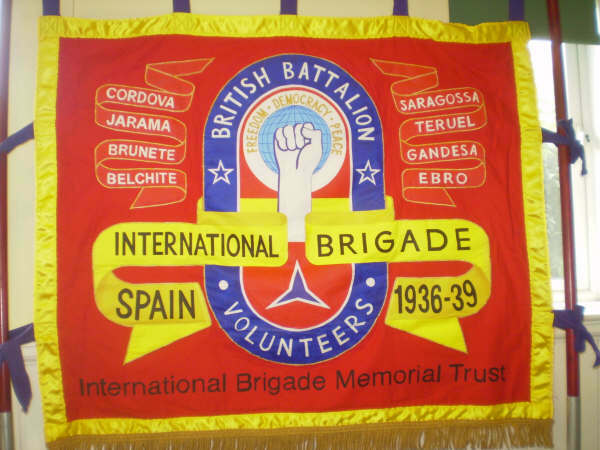 For more information on the British Battalion visit; International Brigades Memorial Trust. To learn more about the Spanish Civil War go to the brilliant Spartacus Educational website. This entry was posted on Sunday, September 25th, 2011 at 12:43 pm	and tagged with Anti-fascist, Battle of Ebro, Battle of Jamara, Fascism, Franco, Gloucester, Hereford, International Brigades, Jack Watson, Laurie Lee, Lewis Clive, local news, Slad, Spanish Civil War, Stroud, Worcester, Wormbridge and posted in Uncategorized. You can follow any responses to this entry through the RSS 2.0 feed.